Posted on December 4, 2014 by Jessica Hall. This entry was posted in Volunteerism. Bookmark the permalink. Karen Yoneda is a fiscal specialist for Chemical Engineering. 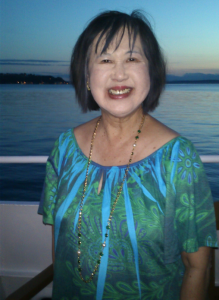 What you wouldn’t know from meeting her is that she’s also a regular volunteer throughout King County. As we reflect during the holiday season and our last chance to contribute to the Combined Fund Drive, we asked Karen to share what she’s learned. Where do you volunteer through the Combined Fund Drive? I put my main volunteering efforts into the Salvation Army and Congregation for the Homeless, both supported by United Way of King County. 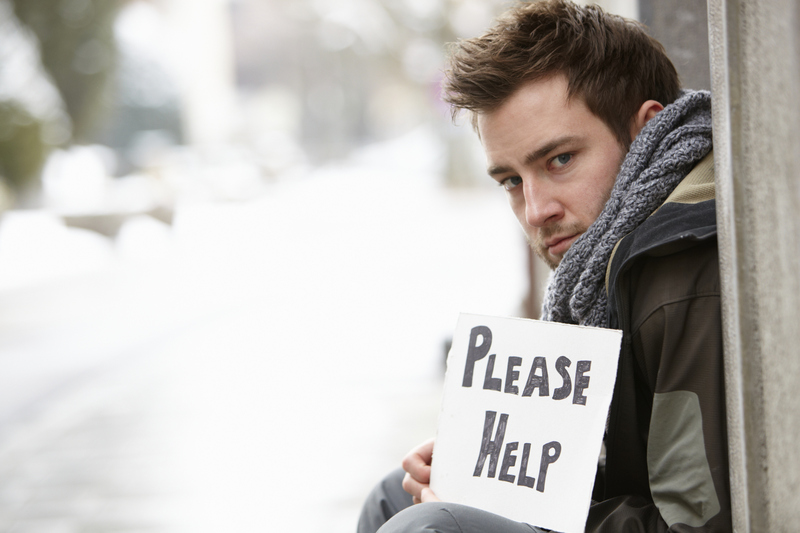 Doing so has been a rewarding experience to help end homelessness in East King County, Washington. As volunteers for these organizations, we use churches to serve food, communicate, offer emotional support, and provide shelter to about 40-60 homeless men who are recovering from abuse. Through the years, I have volunteered in many ways. I have volunteered at the Honolulu Academy of Arts for one year, tutored for nine years in reading at the Hawaii Library, served on the board at Rockwell Elementary and Redmond Junior High schools, and served as a deacon at Overlake Presbyterian Church. I have also led a book discussion for a year at the Redmond Library. What has been your most memorable or rewarding experience as a volunteer? My most memorable experience was meeting Richard LeMieux, from Bremerton. 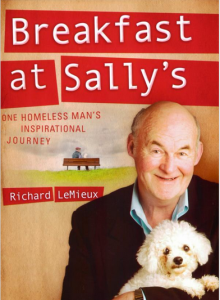 Richard wrote an inspiring book, Breakfast at Sally’s about his descent into homeless life with his pet dog Willow, and the struggles he faced during this experience. He is even working on a second novel! What advice or tips do you have for other UW faculty and staff members who want to get involved in volunteering? My inspiration came from President Kennedy, who indicated that we can give back to the community and make the world a better place for all. I highly recommend getting involved; you will help others while feeling rewarded in many ways. You may develop skills, establish a career network, and help others. Follow your passions! Volunteering provides physical, mental and social health. It also promotes personal growth and self-esteem. You have a chance to give back! Every person counts! The Combined Fund Drive has been extended! You can donate to the Salvation Army of King County (charity code: 031657), United Way of King County (charity code: 0316726), or thousands of other worthy causes simply by visiting this site. Thanks for everything that you do Karen. You are awesome! !